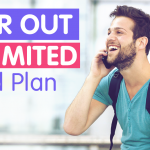 Social media and messaging apps have long become our main way to keep in touch with one another and, as such, we count on the service providers and brands on these platforms to offer us the most personal connections possible. Brands have found the answer to this in chatbots – a way for them to simulate conversation with a human through what is essentially a computer program that operates under a specific set of rules. Marketers have already claimed that 2017 is going to be the year of the bot, so much so that some predict that by the end of 2017, only about one-third of all customer-service queries will require the attention of an actual human representative of a company. 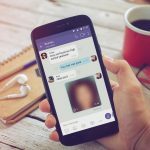 Since we believe that chatbots are indeed the future, we’ve decided to share with you the top quality chatbots now available on Viber’s Public Accounts. Check them out, get answers to your questions, advice and insights, and have fun! 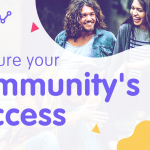 Swelly enables users to create crowdsource tests, or “Swells,” that will help them make better decisions by having other users choose between their two uploaded pictures (options A and B). 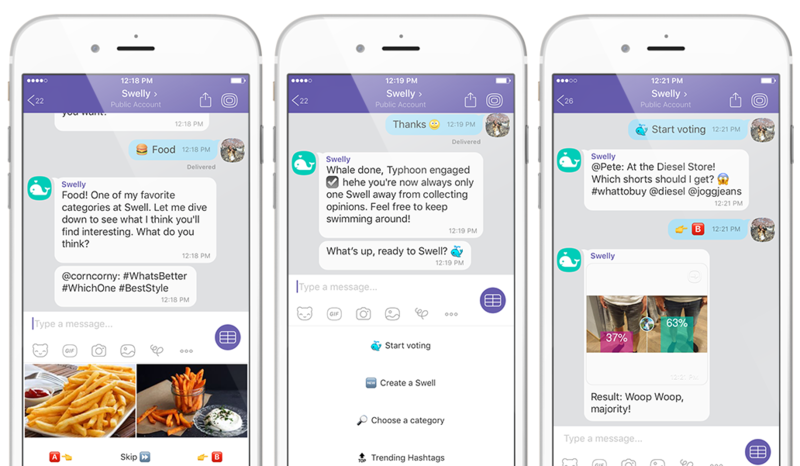 Swelly already boasts over 3 million users worldwide on all its platforms, with users giving their opinions on images varying in category from fashion and tech to sports and food. The bot creates its own “Swells” and gives users an idea of how popular their vote is compared to other users’ votes. This matchmaking bot connects new people who share similar interests by chatting with them and asking them questions. It then allows you to scroll through images and profiles with Viber’s Carousel option and find their best match. Foxsy can even play videos and show GIFs as well as enable you to conduct a conversation within the bot. 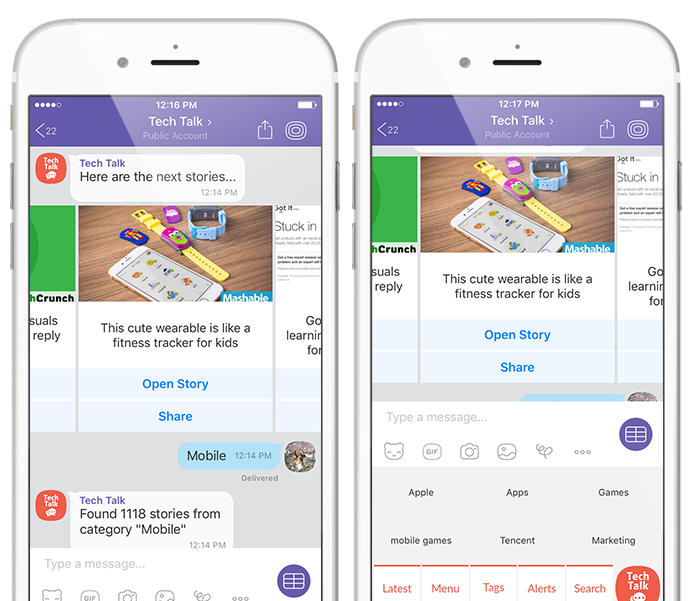 Tech Talk offers you an amazing combination between a Public Chat and a bot. Launching this week, you’ll be able to stay in the loop regarding business news, news about games, trending apps and bots, and so much more. Never miss another news headline with Tech Talk by asking the bot to update you with live updates. You can even customize the news you receive from the bot. This bot is especially fun for tech enthusiasts that never want to miss a beat from the tech world. Keeping track of your diet and manually writing every single thing you eat during the day can be time-consuming and quite frankly, not something many are able to commit to in the long run. Forksy is a bot that helps you eat healthy foods while tracking your calories. By simply writing down exactly what you’ve had to eat or drink, Forksy is able to calculate the calories as well as give you advice regarding nutrients in certain foods and what it believes would have been a better alternative. Forksy also provides users with a detailed food diary that features the calories and foods they’ve consumed. This helps users stay grounded regarding everything they’ve eaten in a day, and ultimately lose weight if that is their goal. Not all cats are able to communicate with humans but Mica, the Hipster Cat Bot, sure can! Mica will help you find whatever venue you’re looking for in the city you’re in. If you’re in Vienna, Paris or London looking for a good coffee, for example, then Mica will automatically list a few places she thinks you’ll like. You can also ask her for some fun cat facts and for cute cat images if you’re looking for extra entertainment. Never let the weather take you by surprise! The Poncho chatbot gives users personal weather forecasts based on their specific location and does it in a way that will keep them smiling through the entire forecast. It even lets them know the morning and evening forecasts to help them get ready for the day. The bot also supplies a weather report for runners who’d like to better prepare for the outdoors. Thanks to the App in the Air bot there’s no need to stress out about getting to your gate on time! This bot is able to answer your questions regarding your flight status, the airport you’re in, and the TSA restrictions limited on your flight. 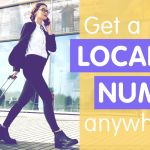 It can even send you notifications regarding your flight so that you can track it in case you’re scheduling a cab or having someone pick you up from the airport. All in all, this is a great way to make any flight much more convenient and relaxing. Unlike the rest of the bots mentioned above, WWF isn’t a startup but a well known international brand. The world’s leading conservation organization works in 100 countries to conserve and protect nature as well as reduce the most pressing threats to the diverse life on Planet Earth. 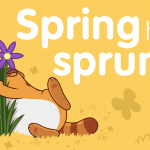 This past April, Viber collaborated with WWF in order to spread environmental awareness through the brand’s Public Chat, sticker pack and bot. The WWF bot allows you to join Ranger Ed on a worldwide quest to discover more about the planet we live in and the animals that share it with us, as well as learn about ways we can help make our planet a safer place for all who live in it. 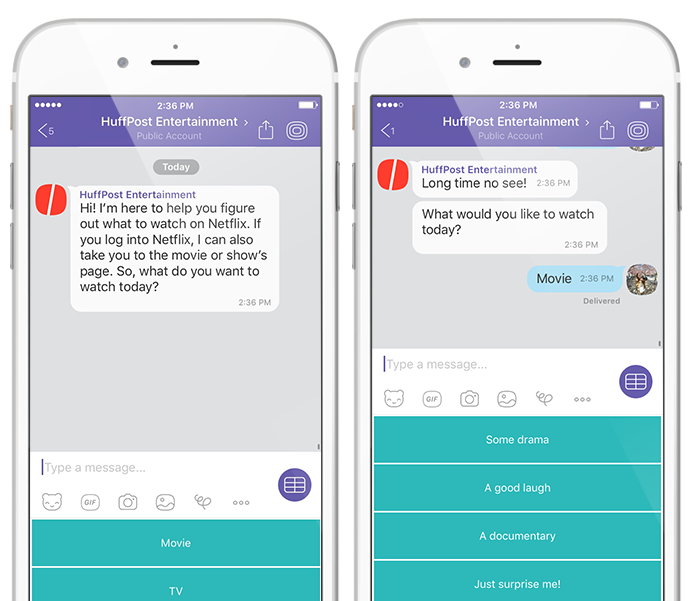 Another top brand that has a Public Chat, a sticker pack, as well as a bot, is HuffPost Entertainment. The bot provides users with ideas on what to binge watch on Netflix in their free time. Are you up for a movie or a television series? This entertainment bot will give you some good options and break those down by your preferred genre. You can also choose a specific movie’s or show’s page if you’ve already got your mind set on something specific. So now that you’ve gone through our list of top 10 Viber chatbots, we suggest you hurry up and give these bots a try. They’re extremely amusing and fun to play around with and we’re sure you’ll find exactly when you need with their prompt and personal help. 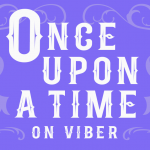 If you are interested in building your own bot on Viber, get all the information you need to get started here.